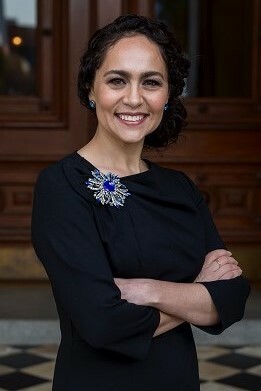 Elected Secretary of the Senate on December 3, 2018. Born in Aguascalientes, Mexico, and raised in the San Fernando Valley. Graduate of the University of California, Santa Barbara with degrees in Sociology and Spanish. Erika began her legislative career as an Assembly Fellow in the office of Assemblyman Marco Firebaugh in 2003. Served as Consultant to the Senate Select Committee on School Governance under Senator Gloria Romero in 2005, Policy Liaison for Assembly Speaker Fabian Nuñez in 2006, Legislative Director for Assemblyman Jose Solorio from 2007-2008, and Capitol Director for Assemblyman V.M. Perez from 2009-2010. As Chief of Staff to Senator Ricardo Lara since 2010, she has served as the top advisor to the Senate Appropriations Committee, Senate Labor and Industrial Relations Committee, Budget Conference Committees, and the California Latino and LGBT Legislative Caucuses. She was the first Latina to serve as Chief of Staff to a Senate Appropriations Chairman. She is the first Latina to serve as Secretary of the Senate and the first woman to hold the position since Grace Stoermer in 1921. The Secretary of the Senate is one of the three officers of the Senate who are elected by the total Membership. The other two being the President pro Tempore and the Chief Sergeant-at-Arms. The Secretary is the chief parliamentarian and keeper of the legislative records, responsible for the accurate drafting of bills and their preparation for presentation to the Governor. The Secretary is also the Executive Officer of the Senate, in charge of the day-to-day administration of the house. 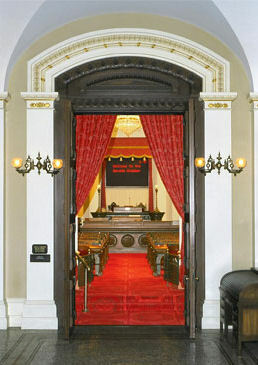 As the Senate's executive, the Secretary oversees a staff of 150 who serve the Rules Committee, the official administrative body of the Senate. The position is assisted by deputy secretaries who manage operations, property, fiscal affairs, and human resources. The Rules staff also provides support to Rules Committee members in processing gubernatorial appointments, assigning bills, and establishing legislative procedures. The Office of the Secretary of the Senate includes a number of staff members more commonly referred to as the "Senate Desk." When the Senate is in floor session, the Senate Desk staff is arrayed in front of the Senate Chamber. They have many ministerial tasks to ensure the orderly conduct of the business before the Senate, and the retention of legislative records for the use of the public. The Desk includes the Reading Clerk, History Clerk, File Clerk, and Journal Clerk. They create the official records of the Senate, which are available in hard copy through the Legislative Bill Room or over the Internet.